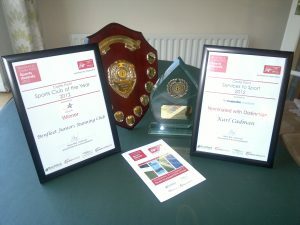 We are a large Award Winning, Club Mark Approved Junior Club, with over 100 members. Started in 2007, our Junior club provides athletics opportunities for young people between the ages of 8 and 15 years to receive coaching and compete in Road Running, Cross Country, Trail, Jumps and Throws events. 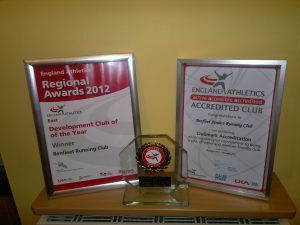 Benfleet Juniors Running Club is a fully inclusive running club for all abilities. We are committed to creating the right environment for athletes of all abilities to participate and perform in athletics. Our Juniors train on a Tuesday night, we meet at 6pm-7pm every week, and also have an additional Saturday morning training session; this is Track Training throughout the summer months, Cross Country Training in the Autumn/Winter. Tuesday Outdoor Training Club meets at Appleton School, Benfleet. Autumn/Winter Saturday Cross Country Training meets at John Burrows Rec Ground. Spring/Summer Track Training Session meets at Eastwood Academy, Leigh on Sea. Current Members need to pay weekly subs for training sessions, for the Monday or Tuesday Club ( pay-on-the-day) Our Saturday session is open to Club Members, and non-Club Members, and also for children to come along and try training with us. If you’re interested please contact us.